Compassion Roundup, Part I: Who cares if your surgeon is a jerk? Most commentators, including Gail Collins of the New York Times, commented on the weird “damning with faint praise” aspect of that quote, since presumably Huckabee meant to praise (if faintly) our Presidential candiate, who has proven himself even more jerky this week by among other things commenting on an ongoing violent international crisis before knowing the facts, and by suggesting that a statement put out by the American Embassy in Cairo condemning a hate film undermined American values. Coming from a man who would be President in a highly dangerous, complicated, and non-black-and-white world, this was so misguided and jerky in so many ways that I can’t possibly mention them all in a blog in which I want to comment on Huckabee’s medical analogy. So for the moment, I’ll simply wonder why Romney, or anyone, thinks it’s not an American value to ALWAYS condemn hate speech, counsel calm, tolerance and compassion, and support the forces of tolerance, understanding, and compassion in every situation and society. To me this is among the highest of human values. More about that in my next blog. So back to Huckabee’s analogy. After endlessly fussing I’ve finally shipped off my memoir, “How I Lost My Bellybutton and Other Naked Survival Stories, to my adorable new literary agent. While I’ve met many amazing and wonderful doctors during all my medical woes, the memoir details my experiences with some incredibly jerky doctors, including my late son Michael’s neurologist and the surgeon I call only “Plastic Man” whom I encountered during my breast cancer experience. I think their jerkiness made them less rather than more skilled, that’s for sure. I won’t talk about the neurologist here, but Plastic Man was jerky mainly because he lacked compassion, and I suffered mightily at his hands, not because he isn’t or wasn’t a skilled cutter. I assume he is, he certainly has a good reputation on that score. But bedside manner? The man was rude, stiff, abrupt, aloof, childish, petulant, and defensive, and became even more so when I developed an infection and became quite sick. As I detail in my memoir, his jerkiness may have increased because he was afraid of being sued. This doesn’t excuse it, of course, and in any case research shows that doctors who tend to the doctor/patient relationship lessen their risk of being sued. This makes perfect sense, of course, since people tend to give back what they receive. The most important thing is, he made my situation even worse than it probably had to be, thereby affecting his skill not just as a cutter but as a physician, who after all should be a healer. I say this not just because I was terrified and needed reassurance when I was so weak and sick and vulnerable, but because if that surgeon had LISTENED to me, his patient, as a good compassionate, non-jerky physician would do, he might well have been able to spare me all or at least some of that suffering, both mental AND physical. So I say yes, I guess I’d prefer a jerky surgeon who’s a skilled cutter to a compassionate, non-jerky surgeon who isn’t a skilled cutter, but like almost all things in life it isn’t (or shouldn’t be) an either-or, black-and-white choice. Why wouldn’t we want physicians—and politicians, and filmmakers, and everyone else–to think of having compassion for the weak (ie non jerkiness), as an important part of their skill and to be BOTH compassionate AND skilled? 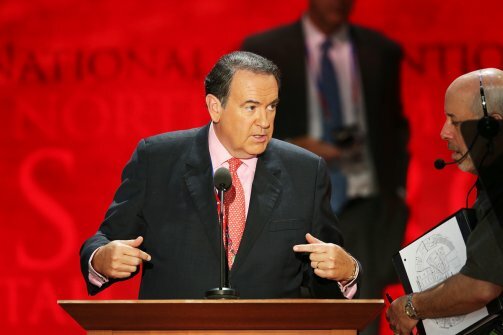 As Gandhi and others have said, “The measure of a civilization is in how it treats its weakest and most vulnerable members.” Substitute the word “doctor” for “civilization” and “patient” for “member,” and I think you see how this applies to the medical situation on which Huckabee is commenting, in my view utterly incorrectly. Survival Tip #17: Compassion and empathy aren’t luxuries for a doctor, they’re prerequisites. Especially if things go wrong or you’re really suffering and really need compassion and empathy. So if you have a choice, find one who has some. Mr. Huckabee, I know your analogy was meant to suggest that Mr. Romney has the skill to fix the economy, thereby lifting all weak boats in the trickle-down sense, but I think that the weaker and more vulnerable the patient (or the citizen, for that matter), the more I need and want to be tended to with compassion rather than jerkiness. I don’t think they used to teach empathy to young doctors, but I think they’ve started to. It can make all the difference between a patient and his/her family feeling terror or hope.